If I'm going to work my way up to eating tarantula's and snake hearts in Asia, then high-end sushi is a good place to start my training in the bizarre foods arena. Yes, sushi and sashimi are still new territory for me and my palette. Inspired to expand my horizons, I was excited to meet up with some friends last weekend for a delicious meal at Sushi Taro in the Dupont Circle area of Washington, DC. To really throw caution to the wind, I joined two friends in ordering the $42 Chef's Omakase (selection). We had no idea what was coming! My friends ordered the sashimi version (without rice), while I still felt the need to have my seafood grounded in grains. Pictured above was my 18-piece entree, which included: sea eel (upper left), shrimp, fatty and medium tuna, sea urchin (upper right), salmon, salmon roe, mackerel, assorted rolls, and a few more fish I can't recall. 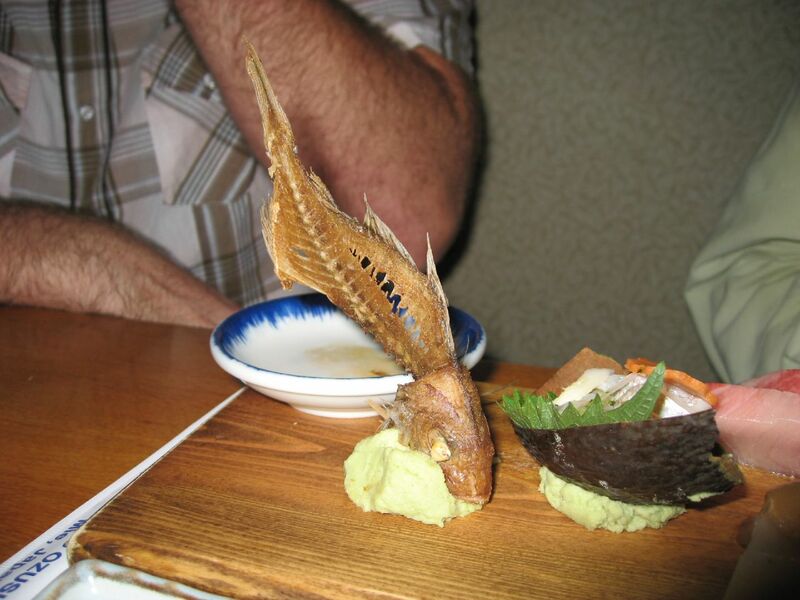 On my first bite, I was reminded of the nasal-clearing wasabi that is often used as glue between the fish and rice. All in all, I enjoyed most of the fish. The sea urchin's texture was very soft, and dare I say silky. I couldn't bring myself to put the whole thing in my mouth at once though (baby steps). The sea eel was cooked a bit, and not my cup of tea. I was surprised when I found the salmon eggs would individually pop like balloons in my mouth, releasing a salty liquid like a little gift. 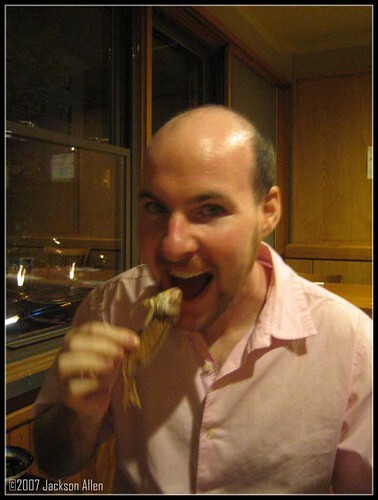 My friends' sashimi entrees held the real action – shrimp heads, and a full, fried, palm-sized fish skeleton. One of my friends easily chomped down on the whole fish, while the other couldn't bear to take a bite. As we were wrapping up, I felt it my duty to push my limits, so I took the uneaten fish skeleton and bit the head off of it. Mostly crunchy, it didn't really taste bad, or good. I felt a little bit of squishiness – perhaps the brain or eyeballs, however I found it quite edible! I may eat these words later, however for now, I'm ready to eat some gnarly cuisine abroad! Once you acquire the taste, you’ll be back for more. Gotta love the smoked salmon sushi and unagi (eel) :smile: . Nice to hear from you. In addition to the taste, I really enjoy the variety of textures and presentations. It’s a big change from the meat and potatoes I grew up with. I promise to keep working on the eel! 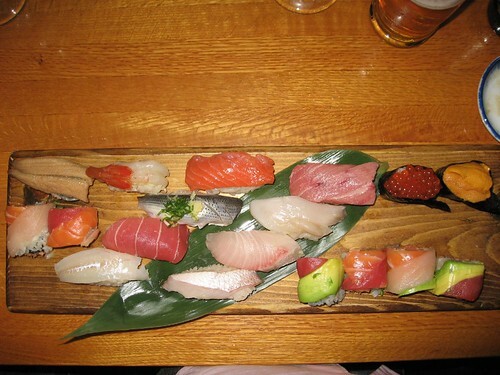 Really like your blog and this is great post.I too have reservations about sushi although my spouse just loves it….